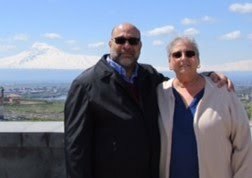 TheArmenianKitchen.com : ‘A Taste of the Wild Side: Out of Yerevan and into Armenia’s Local Dishes’: a most-interesting article and video! ‘A Taste of the Wild Side: Out of Yerevan and into Armenia’s Local Dishes’: a most-interesting article and video! During her research on lavash, Rebecca discovered The Armenian Kitchen – and – us. She had read our post about lavash, the national bread of Armenia, and wished to question us about it noting that she was working on a very strict deadline. We were thrilled to participate, however, her request couldn’t have come at a worse time, at least for me. I was about to have knee-replacement surgery so all of her research inquiries fell on Doug’s shoulders, and, he handled it brilliantly! 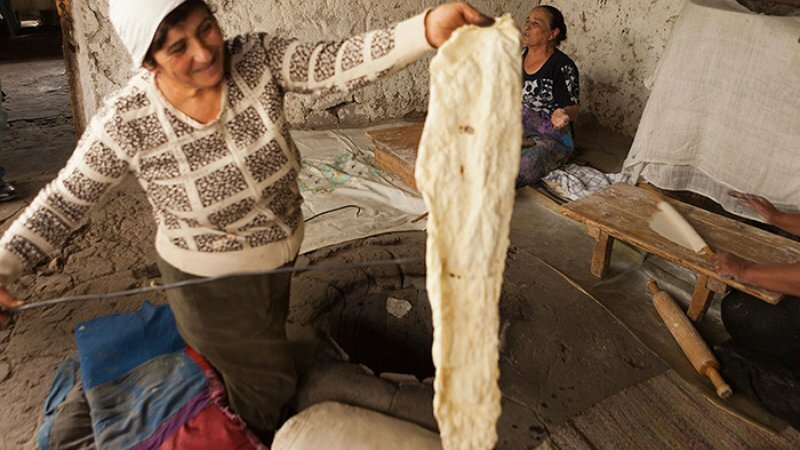 The Smithsonian's comprehensive article, 'Tastes of Memory: How to Bake an Authentic Armenian Lavash', including Doug’s contribution, appeared on their website last April. Please click here to read it. 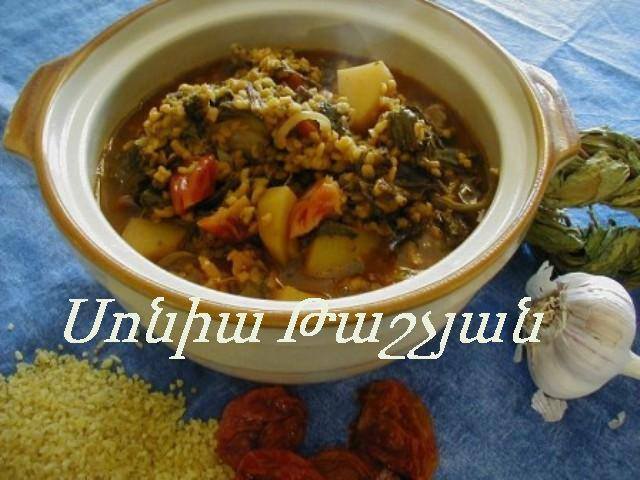 A few days ago, I received an email from Lucine Kasbarian, who brought to my attention an article (and video) from the Smithsonian Center for Folklife and Cultural Heritage, called ‘A Taste of the Wild side: Out of Yerevan and into Armenia’s Local Dishes’. The focus being on aveluk (wild sorrel) which grows naturally in the Armenian countryside. This article quickly brought to mind our incredible journey to Armenia in 2015 when we tasted so many tantalizing and unique dishes, including aveluk soup. I ordered it at ‘Our Village’ restaurant in Yerevan; the article featured Dolmama restaurant’s aveluk soup. We were surprised to learn that few restaurants feature this signature Armenian dish. Since aveluk, which has a somewhat acidic – sour taste is unavailable in the US, and wild sorrel is hard to come by, suitable substitutes may include kale, collard greens, Swiss chard, or spinach. Please click here to read the ‘Taste of the Wild Side’ article and to view the video. It’s in Armenian, but there are English subtitles! 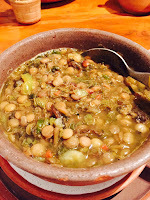 As a bonus, I am re-posting Sonia Tashjian’s recipe for Aveluk Soup. Hi Robyn, you may be thrilled to learn that aveluk is in fact available in the U.S. in died form, as long braided strings. It is quite common here in Glendale. You may have to hunt around in Florida. Also of note: Armenians have a tendency to use many types of wild herbs in their food, from mallow to nettles. 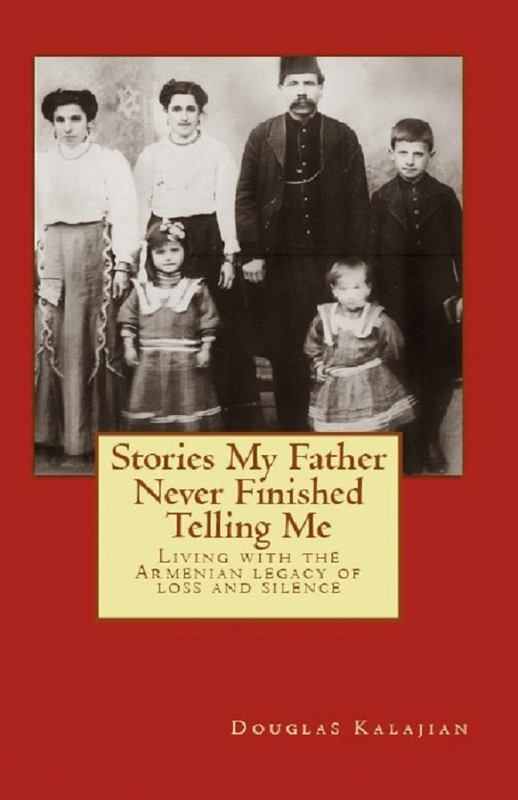 See for example this book on Amazon (From Meadows to Kitchen - Grandma's Secrets: Armenian Recipes https://www.amazon.com/dp/B00R8PLIA6/ref=cm_sw_r_taa_562eybWF820FK). I think the only reason we don't use them do much in the Diaspora is because our grandmothers couldn't find them and learned to substitute. Though, I have to say, my first taste of nettle salad left me rather unmoved. Ara jan, in reality, aveluk must be used when it is dried already. at summer time the villagers gather the leaves of aveluk, kneed them & hang in a windy & shadow place to dry. I am looking for a soup recipe my grandmother made that was a favorite of mine. 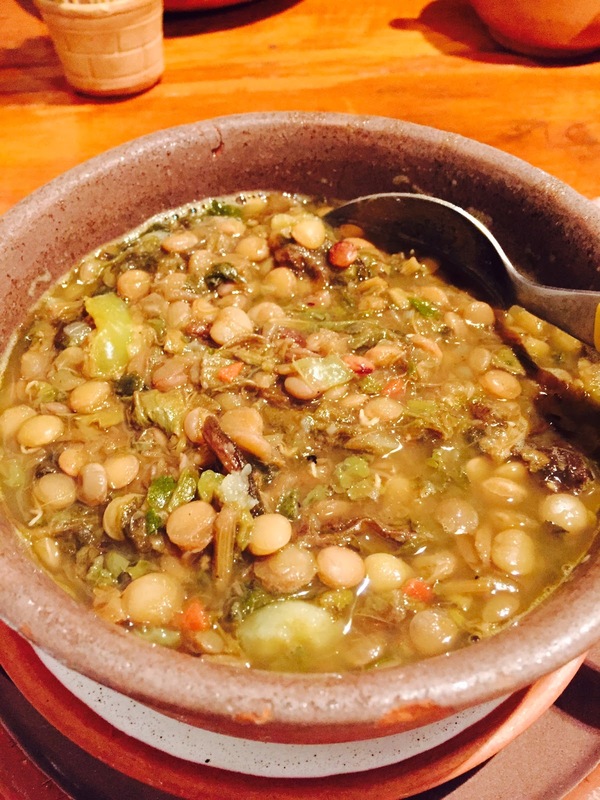 We called it Beans-leaf soup. The soup was chicken stock with onion and yogurt and prunes. The beans leaves were wrapped around farina-like dumplings that were about the size of a woman's small finger. That's all I can remember. Does anyone have the recipe? Thank you! Hi Linda, I'll look into this to see what I can find. If I come up empty, I'll post your recipe request. Sometimes readers come through! Linda, I've been inquiring about this recipe, but the lack of information is impeding the search. Do you happen to know what region your grandmother - or her family - is from? That might help a bit. If you can provide any more info, please email it to me: robyn@thearmeniankitchen.com. Thanks!